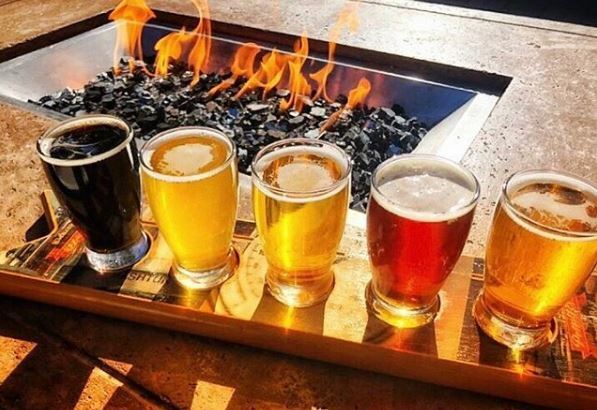 With baseball season in full swing, the sunshine and a little spring fever – there’s no better time of year to enjoy a cold craft beer and some good grub. 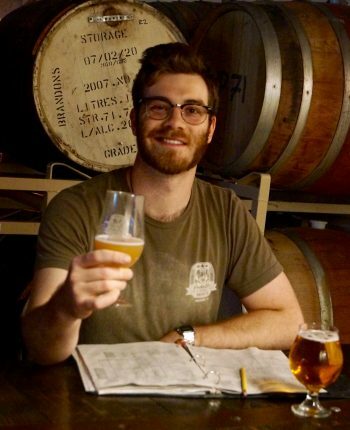 We sat down with Peter B’s Brewpub, Head Brewer, Justin Rivard and asked for his favorite beer and food pairings at the brewery (and now our mouths are watering)! 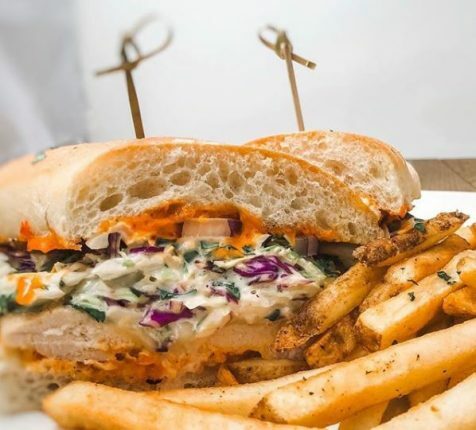 So, the next time you’re in Monterey, Ca and in need of some seriously good food and craft beer – make sure to pay Peter B’s Brewpub a visit and order one of Justin’s favorite combos! Pairing Suggestion: Pipe Cutter Extra Special Bitter – The mild roast flavor of the ribs pairs with the beer’s light roast and malty flavor. The tangy pineapple chili sauce contrasts with the mild bitterness in the beer. 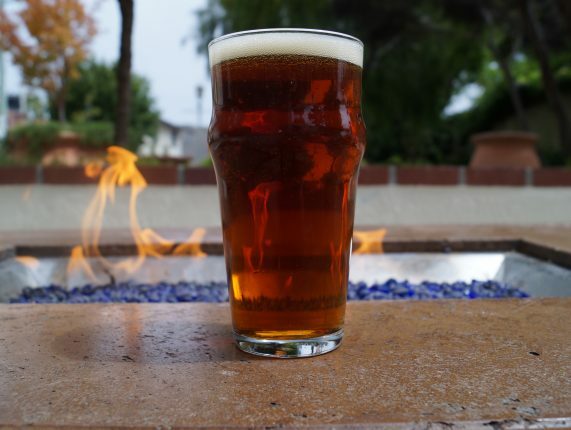 Pairing Suggestion: Legend of Laguna IPA. The bitterness of the IPA cuts through the fattiness in the burger and cheese. Consider adding pepper jack cheese to emphasize the heat or bleu cheese to accentuate the funky flavor. 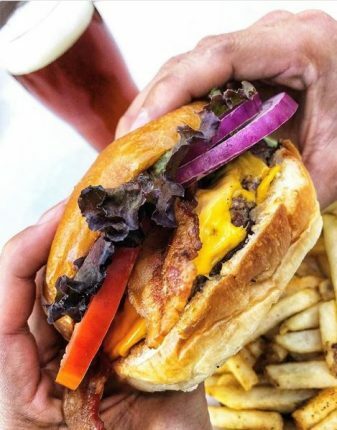 Pairing Suggestion: This burger classically pairs with our Peter B’s Inclusion Amber. The sweet tanginess of the BBQ sauce melts in with the caramel maltiness of the amber. Almost like dessert! Pairing Suggestion: The Wilson!!! This Pale Ale cuts through the chili aioli, yet at the same time, matches the citrus and herbal spice in the sauce with the hop aromatics. Pairing Suggestion: Our Molly’s By Golly Stout matches char with char. The smokiness and bitter chocolate flavor of the beer intensifies the charred meat flavors in the ribs. 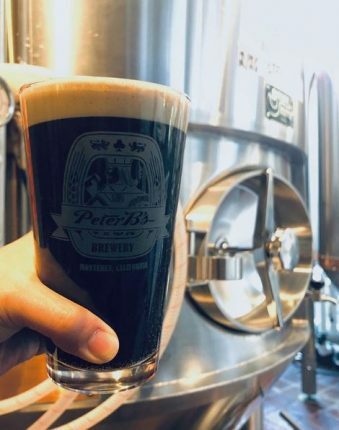 To view the entire menu and Tap List at Peter B’s that is located at the Portola, visit www.peterbsbrewpub.com.